Hey EA, Vader's Leap/Jump While Sabering Animation Resembles An Old Man With Two Splinted Legs. Fix? Please,... Really,... Its Official. This Game Just Jumped The Shark Tank... Anakin vs. Vader. Hey EA, HvV Jakku Map - Destroyer Frame Exploit/Glitch for Yoda Only. Lots of Players Using It. Looking Forward To The Impending Nerfs to DS and/or LS Characters... Come They Will Indeed. Hey EA, Solve the HvV 'Attack' or 'Defend' Runners or Flyers... When Chosen, 30% Reduction Imposed. Hey EA, Where is This Game's Tug-A-War, 2-Direction, Back-&amp;-Forth, Supremacy Objective Mode(s)? So, In The Entire Star Wars Universe, It's Count PooPoo... What an Unispiring Flunky Patsy. PSA: How To Employ A Rarely Seen Tactical Advantage... Turning Your H/V Saber On & Off. It Helps!! Hey Laserbrains, That 'Massive HvV Hero Blast Mode' Will Come... See Our Word Means Some(Nothing). SWBFII Launch &amp; as a Whole = The New Coke Disaster of 1985... Unlike SWBFII, Coca Cola Changed. HvV Game: Villains Less Than 12 Defeats Each. Heroes 30+ Defeats Each. We (Villians) Won. Garbage. Good News, Fortnite Will Die Off Soon Enough... Official Announcement!! SWBF To Come Roaring Back! Garbage Customizations and More. This Is Why SWBFII Fails. SW Battlenite! Yes, Make It Happen. Garbage Customizations & More! This Is Why SWFBII Fails. SW Battlenite. Yes, Make It Happen! Garbage Customizations & More. This Is Why SWBFII Fails. SW Battlenite! Yes, Make It Happen. Hey EA, Fortnite Handing Your Keester To You On A Platter... You Should Change Direction With SWBF2. Hey EA, Son (SWBF Partner & Massive SW Fan), Stopped Playing SWBF2... Game Not Fun. FortNite Now. Hey EA, Come On, Delete SWBF1 Laugh Emote. It is Complete Garbage and Uttlery Childish. 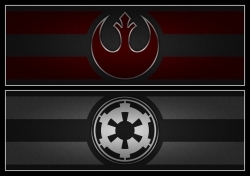 Hey EA, Help Revive SWBF2 With A Much Needed 'Fun Patch/Update', Which SWBF2 Could Really Use. Hey EA, Come On, Make Extraction More Fun by Allowing Only 1 H or V To Be Active at 1 Time, Not 2. EA, I Would Not Be Satisfied With This Type Of Feedback From A Reasonable & New Noob Gaming Family. Helpful Hint: Post Your BFront 2 Issue In The BFront II General Discussion. This Is For BFront 1. Hey EA, At This Point, Please Change BFront I HvV Back To Each Side Plays The Same Map Rotation. Hey EA, Your Entire Jakku Blast Map Is Just Utterly Amazing with Detail ! Well Done Creative Team ! Hey EA, Your 'Revised' Round Summary Is Frankly, Uninspiring Now. Change It Back And Here Is How. Luke Skywalker vs. Jake Skywalker. We Enjoy Luke by Far... Even In Both BFront I & II. Hey EA, BFront II Crait & Last Jedi Crait are Both Pretty Darn Awesome... Thanks & Nice Work !! EA, Looking For & Getting Killed By Tiny Red Dots... Unfortunately, Offers Little SW Immersion. EA, Awesome 1500+ Hrs of BF1 Partner Multiplayer with My Son, BF2 0 Hrs and Unsatisfying So Far. Hey EA, Co-Op Online Missions & Skirmish Modes Been“Session No Longer Avail" for 4 Weeks, Pls Fix. Hey EA, Your 'Single Player Mode from Empire Side only'... Colossal Mistake per My Son and I. Hey Devs, Watch Bossk's Heath Bar In Action In This HvV Bossk Clip. Regen Is Garbage. Even With All Of Its Issues and Our Reasonable Dissapointment, It Still Supplies That STAR WARS Fix! Just Clarifing - The Major Game Breaking Lando Power Blast Issue Has Existed For Over 4 Months ! A Rogue One Leia trailer... For Our Beloved &amp; Cherished Princess !! Well, Movies and Games Made By Creators &amp; Dreamers For Us To Hopefully Really Enjoy…. Thank You!